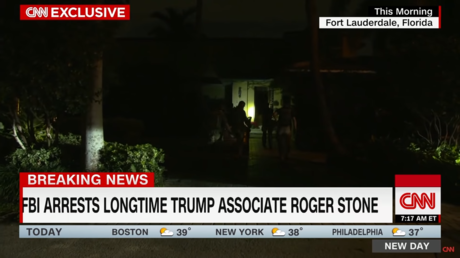 It’s really weird that CNN got the video of Roger Stone’s arrest considering how tight lipped the investigation has been. Love the pre-dawn raid. Especially the CNN cameras. But we don’t have a police state and complicity media. You’re saying CNN’s camera man was just posted there on a hunch? Or did someone call?